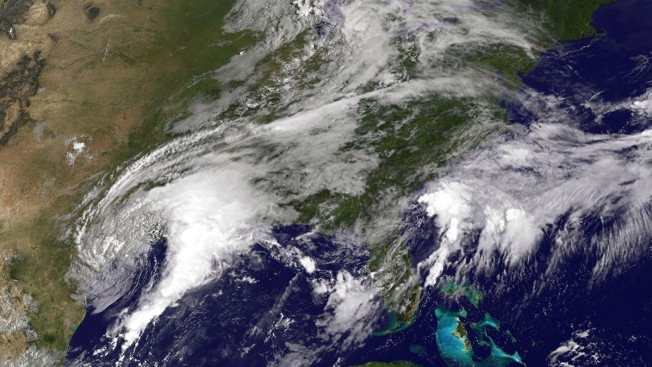 In this August 2017 file photo, NOAA's GOES East satellite captures Tropical Storm Harvey as it churns on the mid-Texas coast. The National Weather Service on Thursday issued an El Niño watch for next fall and winter, raising the prospects for cooler, wetter weather across most of the United States and a significantly milder late hurricane season, according to NBC News. The service’s Climate Prediction Center believes there is a 50 percent chance for an El Niño during the fall and 65 percent chance in the winter. An El Niño begins with warm water in the central and eastern Pacific Ocean and changes weather patterns across the world. Moving some tropical storm conditions away from the Atlantic Ocean is an effect of an El Niño.